The LC sofa, even the range of LC Grand Comfort lounge chair, were definitely not designed by Le Corbusier. He even refused to authorize a proposed edition of such furniture by Heidi Weber, because he thought sofas being too "bourgeois". 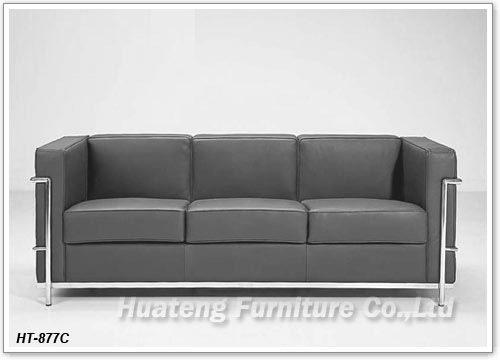 Material: full/half Italian leather or PU covered, with high density foam and stainless steel frame, available as shown in black leather or in a wide range of colors for choice.